Our culture uses the word life-changing a lot: a lipstick that doesn’t come off on your wine glass! Yoga pants that look like trousers so you can wear them to work! A gadget that removes the seed from the avocado (P.S. you can just use a knife to do this!). But today I want to share something that truly changed my life in 2018, which is my Sunday night ritual of journaling, meditating, and self-care. 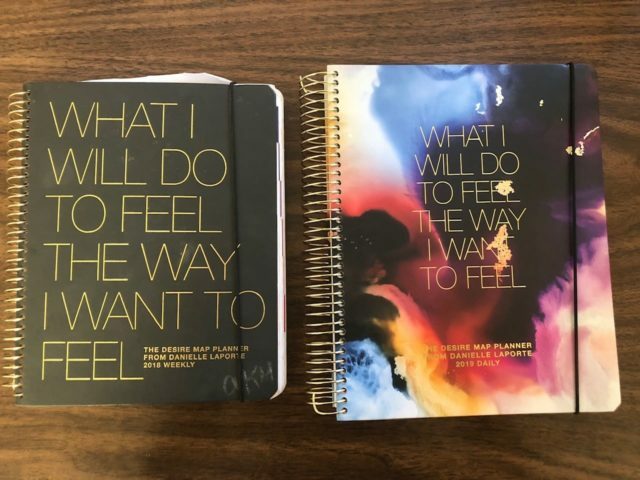 For Christmas 2017, I asked for The Desire Map planner (the title is: What I Will Do to Feel the Way I Want to Feel, which is basically what sold me on it) after following its creator, Danielle Laporte, on Instagram and really resonating with her message and positive vibe. I had been having a really difficult few years before that, and I wanted to start taking steps towards knowing myself better and making my life into what I wanted it to be–instead of what I thought everyone else thought it should be. I also started doing yoga and meditating more regularly, and reading books and listening to podcasts about spirituality. On Sunday night, I created a regular ritual for myself. I light a candle or some incense, journal in the planner, and meditate or do yoga. 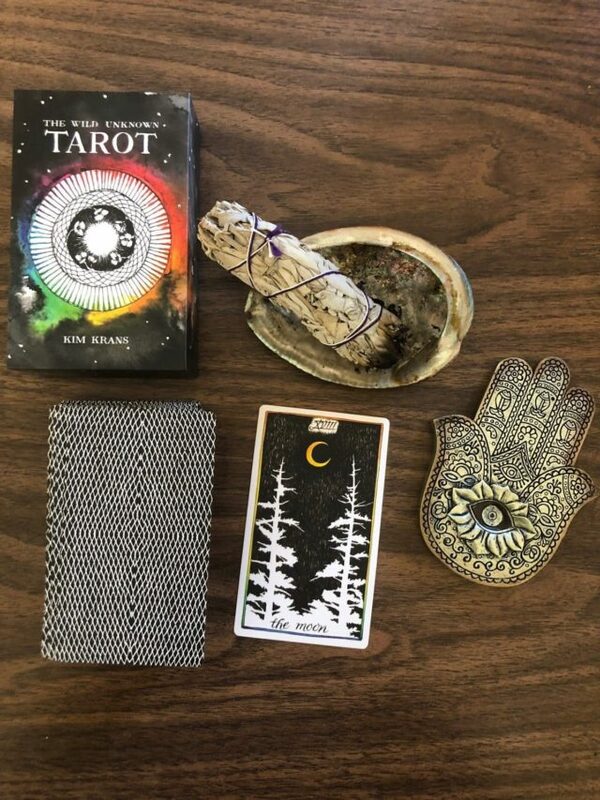 Sometimes I pull a Tarot card as a centerpiece to think about for the week. Other times I set intentions for my month or week. I have a special pouch with stickers and markers I use to make it look fun, emphasize my favorite quotes and insights, and also engage in a little extra creativity. What was amazing about the journal, for me, is that it almost became a guidebook to learn about myself. Because I did it regularly, I was able to see patterns in my life, my feelings, and my behaviors. I was able to see things I was manifesting simply by focusing on them regularly. And because every week there was also a space to write down what I was grateful for, I was able to cultivate more gratefulness in my life as a whole. This made me better at being in the moment and less jealous of all of the shiny, happy, perfect people on social media. 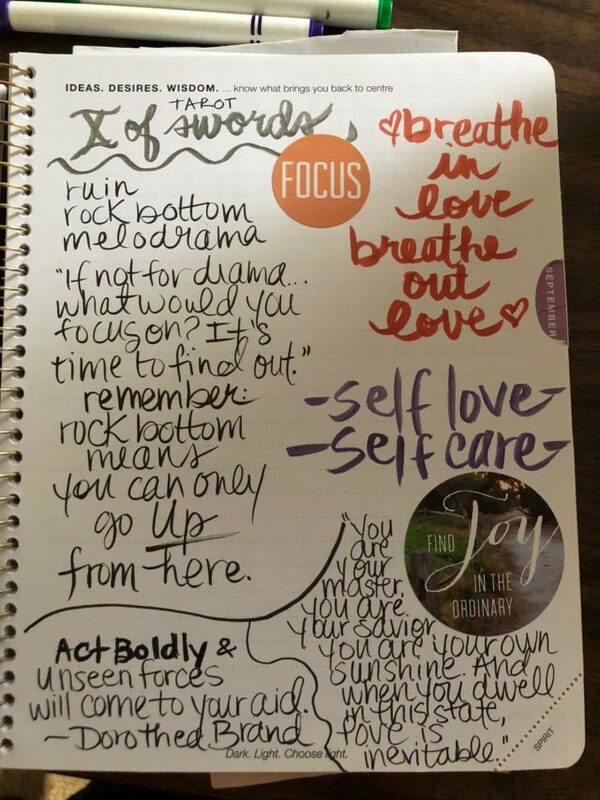 While I would never recommend journaling over professional therapy, as someone who struggles with anxiety and depression, this ritual was also extremely helpful for me, not just for the self-care aspects in the moment, but also because I was able to see practical things in my life I could work on. And then, when I worked on them, I was able to see how I felt in my life. Let me just say that seeing your patterns of B.S. can be incredibly eye-opening. And seeing how small changes, cumulatively, can result in big changes, was also an important lesson for me. I am an impatient person, and when I don’t see results right away, I often quit. 2018 was a life-changing year for me, and I’m looking forward to using my 2019 calendar to get to know and love myself even better and manifest the life I’ve always dreamed of but was too afraid to make happen. If you have ever liked keeping a diary or gratitude journal, or want to find a great self-care ritual that involves more than just bath bombs and Korean face masks (though I love both of those too! ), I highly recommend trying to add a similar ritual to your Sunday night. Bonus: it also helps with those Sunday night scaries. Amanda Miska is a mother, writer, editor, fashion reseller, and overall goodhearted badass. You can find her on Twitter @akmiska, and on Instagram @mandamiska and @mandamiskacloset. 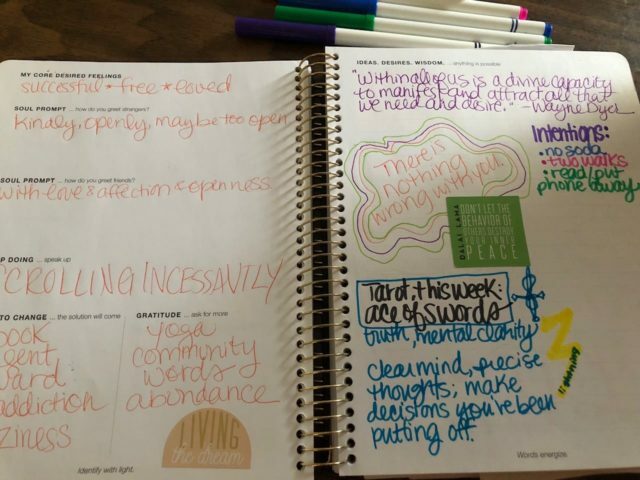 I have the weekly version of this planner – and it’s a fabulous way to check in with yourself and what really matters. It’s beautifully designed also. Yes! This is the first planner I have really actually used regularly and it’s stunning.